World No.42 Anirban Lahiri has a three-day total of four-under 212 (73-67-72) in the European tour season-ender at the Earth Course of the Jumeirah Golf Estates. 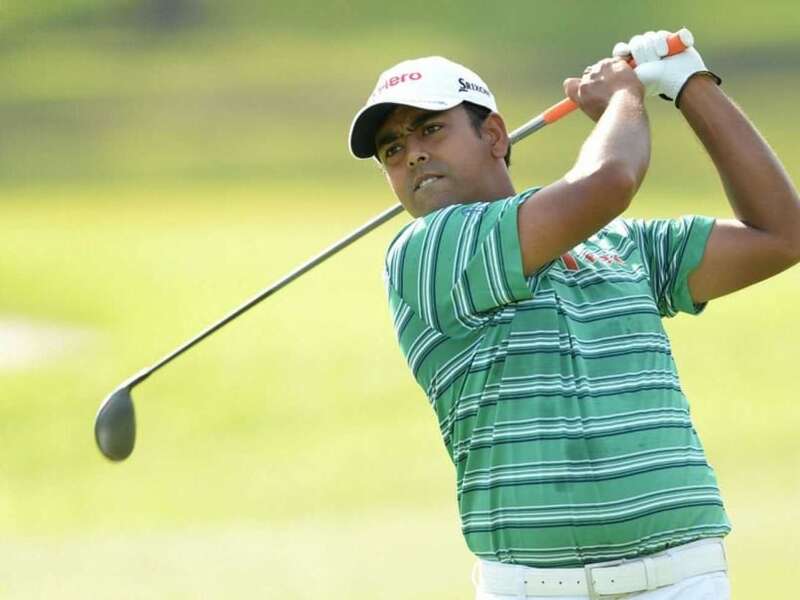 Leading Indian golfer Anirban Lahiri battled hard for an even-par 72 that dropped him 12 places to be tied 35th after the third and penultimate round of the $8 million DP World Tour Championship here on Saturday. World No.42 Lahiri has a three-day total of four-under 212 (73-67-72) in the European tour season-ender at the Earth Course of the Jumeirah Golf Estates. The 28-year-old was 12 strokes behind leader Andy Sullivan of England, who scored four-under 68 to maintain a one-shot lead over a fast-charging Rory McIlroy (65) of Northern Ireland. Lahiri got off to a poor start as he bogeyed the first hole before recovering with two birdies on the trot. But bogeys on the fourth and seventh undid his good work as he birdied the ninth hole for an even-par 36 in the front-nine. The start of the back-nine turned out to be a disastrous one as he bogeyed the 10th hole and got a double-bogey on the par-four 11th which pushed him back. However, the resilience of the Bengaluru golfer, who has almost sealed the top spot in the Asian Tour, came to the fore as he birdied the 14th, 16th and 18th holes for a 72. Meanwhile, world No.53 Sullivan scored five birdies and a bogey for a 68 that took his three-day total to 16-under 200 (66-66-68). The 29-year-old was one shot clear of world No.3 McIlroy, who raced ahead with a 65 -- the best score of the day. The former world No.1 and five-time Major champion McIlroy, who was tied fourth after matching 68s in the first two rounds, blitzed eight birdies against a lone bogey on the 12th. European Tour reigning champion McIlroy, 26, will look for a great finish on Sunday as he seeks his third continental title. He is the current season's leader and also the World Tour Championship win in 2012 here will give him more confidence coming into the final 18 holes. Three strokes off the pace was the United States' Patrick Reed, who added a 68 to 70 and 65 he got in the first two rounds. Emiliano Grillo (71) of Argentina and Byeong Hun An (66) of South Korea shared the fourth spot on 12-under 204 total. Thai veteran Thongchai Jaidee (69) and English duo of Matthew Flitzpatrick (68) and Danny Willett (67) were tied sixth on 205 total.